Opposite the south door of the Church of St Stephen sits a sculpted figure from Norse mythology. The figure depicted is the trickster god Loki Laufeyjarson who was the son of the giants Fárbauti and Laufey. The stone was discovered amongst ancient gravestones at the far end of the church but was subsequently moved inside the building. Dating to the 8th century, the carved figure of Loki is shown to be bound and chained with the stone being one of few physical remains from the time when Vikings had settled in the area. 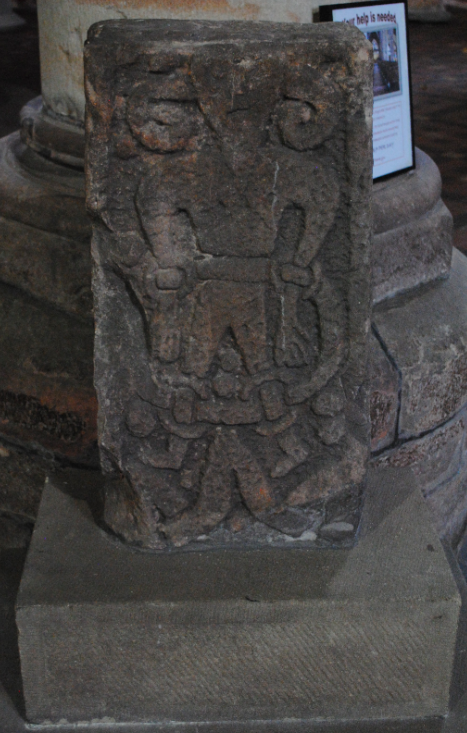 The stone is unique in Britain and is one of only two known carvings of its type in Europe.